App supporting the full property reports lifecycle. Use dictation or text input. Transcribe yourself or leave it to us to transcribe. Generate high quality reports completely FREE! using text input. 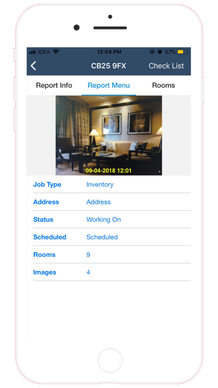 iOS/Android app that allows you to capture details of a property quickly and accurately. Inventory reports are some of the most important documents related to your rented property. They are extremely important for successfully claiming back your deposit when you leave the property. At check-in, the inventory should detail the current state of the property, including descriptions, age and condition of the fixtures, fittings and furnishing. This helps landlords and letting agents compare the state of the property at check-in. The check out report is a key element for the end of the tenancy agreement. This report is a self-evident document, containing written and photographic elements, which describe in details the status of the property and all the appliances inside it before the tenant moves out. We aim to make periodic reports as easy as possible with clear and accurate reports tailored to meet their needs. Text mode allows you to create reports for FREE! Get instant turnaround. Type your descriptions using the built-in predictive keyboard using our specifically designed Intelligent Keyboard Engine ™ technology. This knows about inventory terms and prompts you helpfully to create accurate descriptions. Use your device’s voice recognition if you prefer. Utilise the power of dictation. You can choose to self-transcribe or let us type up the report for you. We allow unlimited audio description we charge per bedroom. Fast and adaptive text based capture allows for fast turnaround reports and simple one person creation. 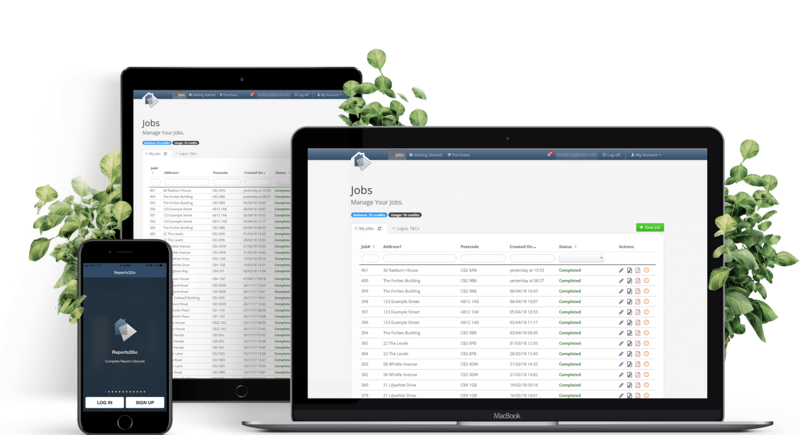 Smart keyboard predictions tailored to inventory reports save you time and provide helpful hints. All items added to the maintenance section of each room are displayed in one place to save you time back at the office. Use dictation and transcription to capture precise descriptions and conditions. Simple form based surveys show quick and concise conditions at a glance. Form style appliance conditions are compiled into one place for easy reviewing. Explore our Portal today for free. The portal is the central point in the provisioning of all services. It is constantly being updated with new features and facilities. If you have multiple colleagues working from a single branch or need the convenience of monthly billing then give us some details and we can organise that for you. See how our app works. ▸ What is different about your offering? We offer 2 modes by which you can compose inventories: Audio mode and Text mode. Choose the mode that suits your circumstances. We don’t apply limits to the amount of dictation. Text mode reports are free with optional paid enhancements on a pay-per-use basis. Enhancements are £1+VAT to add your own Ts & Cs and logo and to edit the report once on the portal for £1+VAT. 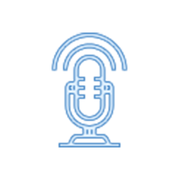 If you prefer dictation (Audio mode), then you can self transcribe your recorded audio, edit and add Ts and Cs for £5+VAT per report. To use our transcription service the charge is £5+VAT per bedroom plus £5+VAT for report composition. We don't have restrictions on the amount of audio you record. You can sign up to a monthly plan for Text mode reports with your own logo and edit facility included for £25+VAT per month for up to 15 reports. ▸ How long does it take to get a finished report? Text mode reports are available on your portal account a few minutes after the media is sent to our portal. Self-transcribed reports are available for you to type up also a few minutes after media is uploaded. Audio mode reports that we transcribe are on a 48hr turnaround as standard. You can upgrade delivery to Same Day or Next Day by spending more ‘Credits’. ▸ Can I edit a report? If you have done an Audio mode report you have 30 days to edit. If you need to do further edits, this is available via a paid enhancement. There is an edit button alongside the report listing. If you’ve chosen to do a free Text mode report then editing is enabled by purchasing the paid enhancement. ▸ What is the difference between Audio mode and Text mode? In Audio mode you use dictation. Our app captures your dictated speech and either you type up the report yourself or our staff type up and compose the report. With Text mode, you use our intelligent predictive keyboard to create descriptions. Our keyboard technology knows about the context of sections (e.g. Ceiling or Curtains) that you may be working on and intelligently offers words as you compose descriptions. Text mode is FREE! with some optional paid enhancements. Audio mode is charged according whether you self-transcribe or get us to type up. ▸ How much is a paid enhancement? For Text mode reports it is £1 + VAT for ability to add your own Logo and Ts & Cs and £1+VAT to be able to edit a report once it is on the portal. Audio mode reports have these features included. ▸ How do I access a report? You can download a report via your portal account. The login button is at the top of this page. Use the same credentials as those when you registered the app. You are sent an email notification when reports are ready. ▸ How long is a report available for? You can access reports as long as you keep your account active. You keep the account active by logging in at least once every six months. Chrome effect curtain rail to the patio windows. Doors with curtains hanging from the curtain pole. Good clean condition. A timber door with fifteen glass panels. Odd marks on glass panels and the door is wood stained in brown and there are marking on the door internally and externally; also the doorframe shows signs of wear. The handle is gold metal and appears in clean condition. There is also a silver bolt on a latch inside of the door; door appears in clean condition. Hanging on the door there is a laced curtain, which appears in clean condition. One white ceramic basin with a white ceramic pedestal, chrome effect basin mixer tap. A three-tile black ceramic tile smash back to the basin. There is a round mirror above the basin and a white close coupled pan and cistern with a white plastic toilet seat. All the items are in good clean condition. Light brown carpet starting from the ground floor flight of stairs up to the third floor landing area. Balcony area to bedroom with slate effect flooring, silver hand rails and glass panels. Security hand rail system. Silver coloured carriage style external lamps. Seemingly in good condition. Walls are painted white with white painted skirting board. One wall has decorative floral print paper. All in good clean condition. Aluminium double glazed window with opening casements, lever handle, lock plus key in grey finish. Timber cill, cream gloss finish. Good clean condition. There is also a single-leaf white painted panel door with a chrome effect handle, white painted architrave. Located just before entering the kitchen. It is for cupboard space under the stairs. The door is in good clean condition.